I'm Springing back because it seemed like Spring flew by because of our big move to Iowa and I wanted to share a few things in the Spring. It all started with my cousin Allie's wedding. Scotty had an interview that week and accepted a job offer and we found a house with in a week. 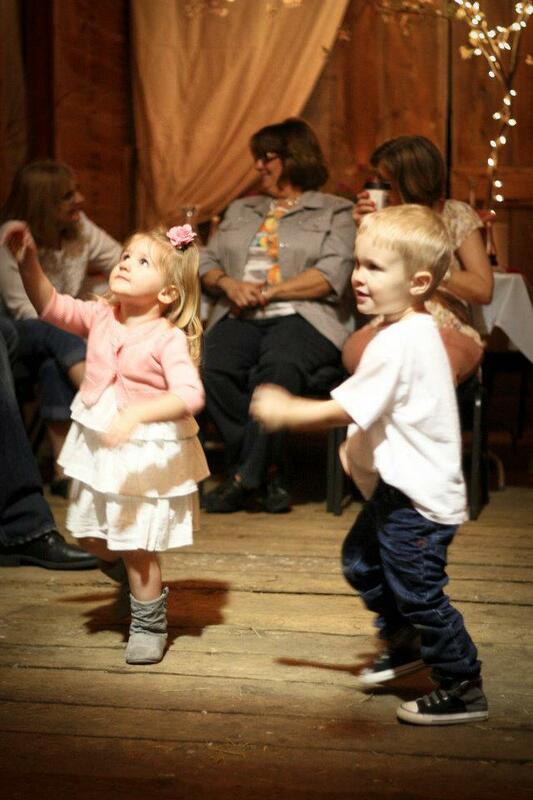 Here is the dress rehearsal dinner Allie and Grant had in his parents 100 year old barn. I'm so bummed I didn't get a ton of pictures of this great barn....I was a bit distracted with all the change that was happening. 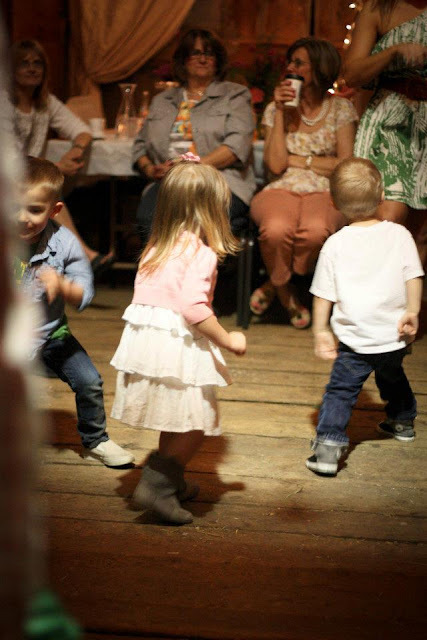 Its was lovely and as you can see there was music and my William can't help but move!! And here's his sidekick cousin Claire who can't help but move right along with him! 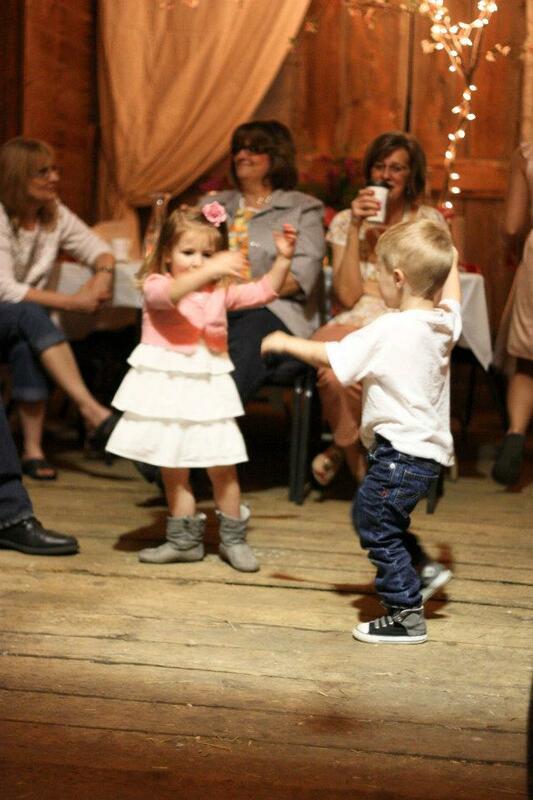 Second cousin Lando getting with it too! I love how children don't care and just Dance....how we can learn from them! So I was really, really excited to take William to Deanna Rose farm....its a free farm you can take your kids and it's very hands on. You can feed the goats, fish, feed the baby goats bottles, rabbits, ducks, cows, pony rides, trails to hike....so fun right? Well William liked it Okay. Lets just say he likes my dog Katie(who by the way is my daughter and family member and is going to Heaven so technically you can't call her an animal). So no thanks to Katie William hasn't warmed up to the whole animal thing yet. So guess what was the highlight of the farm. The School house....William loved it! And you know why??? it had chalk!! We sat and played with chalk for about 20 minutes....he loves to draw and create....I think he really likes the arts, dancing, and drawing! So while William drew....I checked out this school house and thought about Laura Ingalls Wilder and what would be in her lunch pale as lunch was approaching. And I thought of my Gramps who went to small School about this size. I also loved this picture collage. Loved this ceiling and this light....and yes I want this light in my house!